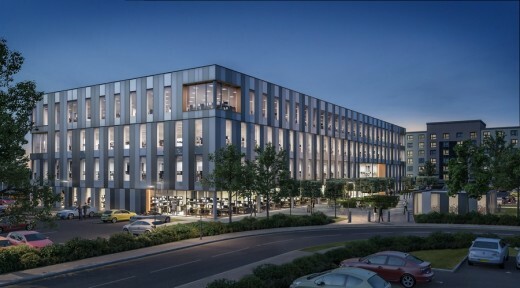 Abstract (Crawley) Ltd – a wholly-owned subsidiary of Mark Glatman’s Abstract Securities – has announced that on-site construction works have commenced for its next highly competitive speculative office development, ‘The Leonardo Building’, Manor Royal, south of Gatwick Airport. Abstract have appointed main contractor, Bowmer & Kirkland, who started construction in early October. It is estimated that the development will create approximately 150 construction jobs. The property will have an end investment value of £45m and be able to accommodate up to 1,700 staff when it completes during the last quarter of 2015. The Leonardo Building is a ‘Grade A’ office building comprising 110,000 sq ft together with over 300 car parking spaces. The site is the last undeveloped plot at Crawley Business Quarter just South of Gatwick Airport and opposite the offices of Virgin Atlantic and Boeing. Other nearby occupiers include Doosan Power Systems, Tui Travel plc, Thales and Elekta. The scheme will comprise a TP Bennett design of four floors offering flexible, virtually column free floor plates each of circa 28,000 sq ft. 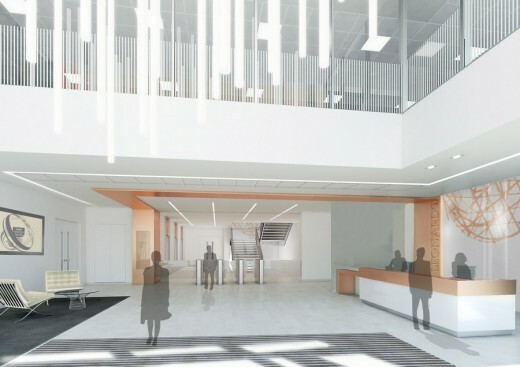 In line with all Abstract developments, the building will target a BREEAM ‘Excellent’ standard and an EPC ‘B’ Rating together with a building design occupancy from 1 person per 6 sq m which will maximise the operational efficiency of the accommodation. Mark Glatman, Chief Executive of Abstract Securities, said: “The proposals for a second runway at Gatwick Airport are gathering momentum, and three quarters of a million sq ft of office space sits on land that will be blighted by current plans whether or not a decision is made swiftly. Having completed the 100,000 sq ft ‘Renaissance’ development in Croydon in November 2013, which was fully let within 10 months, Abstract is currently on site in Glasgow where it is in the final stages of speculatively building the 170,000 sq ft ‘St Vincent Plaza’ office development, which will complete in Spring 2015. In conjunction with Aker ASA, Abstract is also currently developing 1 million sq ft of offices at Aberdeen International Business Park, where the first phase of 335,000 sq ft is due to complete in February 2015 and where the biggest office letting ever in Scotland has just been announced. Agents for The Leonardo Building are Knight Frank, Savills and Stiles Harold Williams.